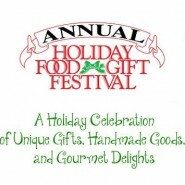 Please visit Thembanathi at the 21st Annual Holiday Food & Gift Festival in Eugene November 4-6th at the Lane County Events Center. This festival is one of the largest holiday celebrations in the Northwest. With over 120 exhibitors, the festival provides shoppers with one-of-a-kind gifts that cannot be found anywhere else. Featuring art, crafts, jewelry, clothing, wood, music, photography, toys, Christmas décor, and much more. There is also a large gourmet food area.